Homesteader Profile: Megan and her husband live on 3.5 acres in Connecticut. Megan is the owner of Linn Acre Farm, where she writes about homesteading. Our story really starts with my Great Uncle Ed, who always dreamed of having a farm. In the 1960’s, he retired very young, found a piece of land (about 3.5 acres), designed his dream home and threw himself into homesteading. Everyone told him he was crazy! Mainly through books, he taught himself all he could and the rest he learned as he went. He built our barn and coops himself and designed the layout of our property. My Great Uncle learned to garden and before long had his own veggie stand in the garage! He started raising chickens and ducks, both for meat and eggs and before long was selling roaster chickens and ducks, as well as chicken and duck eggs. He learned about keeping honeybees and began selling his own honey. He became an advocate for beekeeping and loved to attend fairs educating anyone who wanted to learn. But what he really wanted to do was have a dairy. To make a long story short, he achieved his dream! He became a licensed goat dairy in the state of Connecticut, selling raw milk to his regular customers. At the time, he was one of only 9 goat dairies in the state and was most likely the smallest registered dairy in the entire country. He also loved canning, making cheese and yogurt, and baking homemade bread. He was so passionate about teaching others about farming – and that’s where our story begins! I grew up loving being able to play with baby goats every year. A few times a week, my Uncle Ed would deliver baskets of fresh vegetables and fruit, dozens of beautiful blue eggs, and as many pumpkins as I wanted in the fall! Looking back now, this was really something I took for granted. Although I always assumed I’d grow up and have a farm as well. My Uncle Ed helped me get started with my first garden of my own, which I loved! As my Uncle Ed got older, he began to downsize his farm. Around the age of 92, he decided to move to an assisted living in town. He was hoping we would continue his farm, and that’s exactly what we decided to do. He passed away at the age of 94, in his sleep. I hope he’d be proud of us today! My husband Eric and I are both in our mid twenties. Eric is like my Uncle Ed in so many ways: he can built anything, fix anything, wire anything… basically he’s the brains behind so much of what we do. We’ve been together since I was 15 and I always told him a farm was in my future. This was something he embraced, thankfully! Once we moved here, we began deciding what our goals were. We knew we wanted to work towards being as self sufficient as possible, such as providing as much of our own food as we could. We started small, slowly expanding our garden and gaining more experience. We began to fix up the chicken coops and got our first flock of chickens. Each year, we decided to set one main goal for ourselves. Last year was our fourth summer here, and we grew over 1000lbs of food from our garden, which we canned, froze, or stored for the winter. Most of our meals center around things we’ve grown ourselves! To us, this was a huge step forward and we hope to continue to grow from here. We’ve both found so much peace in homesteading. There is immense satisfaction in being able to provide for yourself. 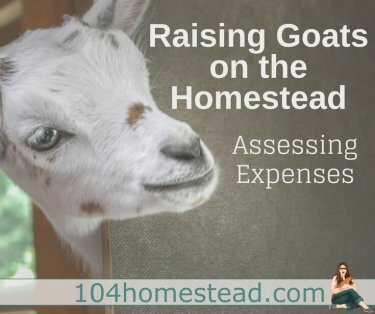 Homesteading is a learning process that never really ends. There’s always a new project with new things to learn. We always try to cook from scratch, using as many home grown items as possible. The items we cannot provide for ourselves, we always try to buy locally (such as various fruits and beef). Within the past year, we learned to raise and process our own meat (quail and chickens). This was a step we took because we feel very strongly about animals being raised and processed humanely. We decided that if we chose to consume meat, we will raise the animals ourselves or buy from a local farm who raises their animals in ways we agree with. We are very DIY oriented and always have a project we are working on. There is still so much we hope to achieve and work towards in the next few years. Homesteading certainly is a process that takes place over a period of years. During that time, you grow and learn so much, not just about homesteading but about yourself as well. I am sending this post to my husband Steve. We are working on our homestead in the Arizona Desert. Steve has come a long way and really enjoys it. I hope that your story will inspire him as much as it did me. What an inspiring story. I know Uncle Ed would be proud. I enjoy this series so much. We all are so different, yet have so much in common. 🙂 Megan’s story warmed my heart. I have followed Linn Acres on Facebook for a while but never really caught this part of their story. Thanks for sharing. I have a new appreciation for what They are doing. It’s so great that they’ve started when they’re so young!! This is what I want for my kids – to be ahead of where I was in my twenties with knowing how to live a self sufficient lifestyle. I knew some stuff but the learning curve has been long and sometimes tedious. Great write up and I want an uncle like hers!! What a wonderful story Megan. I bet your uncle would be very proud of you!